TGIFF! That’s two Fs given for #ForceFriday. Some of us have been up all night gathering alllllll the new Star Wars merch: the good, the evil, the items more expensive than the price Jabba put on Han Solo’s head. 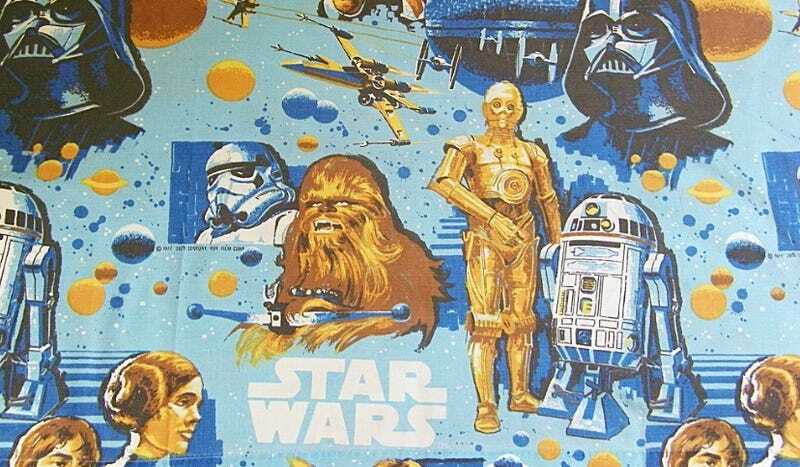 I have to admit, the one thing I am super excited about is the fact that these vintage Star Wars sheets are now being reproduced. I plan to buy a set this weekend. For my daughter, of course. What about you? What are your plans for this looooooong weekend—besides hoarding as many boxes of Star Wars Mac & Cheese as you can?